When we think of ADHD many of us picture a young child – often a boy – who is unable to sit still or concentrate and spends most of his time climbing the walls. However, ADHD – whilst more prominent in young boys – is sometimes not diagnosed until adulthood and can affect both men and women. The condition can affect many different aspects of your life, from how you learn to control your emotions to how you interact with the people and situations around you. However, there are a number of different ways in which you can learn to control the condition and live what is perceived as a normal life. 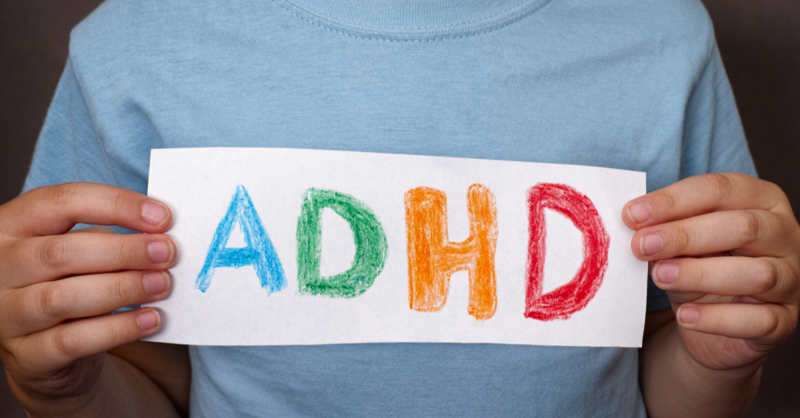 Hyperactivity – despite possibly the most common symptom of ADHD being hyperactivity the condition can also cause the opposite to happen, with many children with ADHD becoming unmotivated, inattentive and inactive. This can continue into adulthood with adults struggling to complete tasks at work or maintain healthy relationships. Lack of attention span – many people believe that those with ADHD – particularly children – have difficulty concentrating, however those who suffer with the condition often only have difficulty around concentrating on the things they find uninteresting or don’t enjoy. In fact, those who suffer with ADHD often have no difficulty in concentrating on the things they enjoy as well as tasks that aren’t repetitive or deemed “boring”. ADHD will be outgrown – many people, especially parents, often put the symptoms of ADHD down to kids being kids or boys being boys and consider the condition something they will “outgrow” however if left untreated ADHD can continue and last throughout adulthood. Medication is the only form of treatment – many people believe the only way to overcome the symptoms of ADHD are through mediation, however many others find a combination of medication and therapy beneficial whilst for some therapy alone is sufficient to learn to deal with the symptoms. Like with children, adults with ADHD often suffer with a combination of persistent problems including but not limited to impulsive behaviour, hyperactivity and difficulty concentrating. Whilst these symptoms may be accepted or forgiven in children, they can lead to difficulties during adulthood including; unstable relationships, low self-esteem and poor performance at work, as well as a range of other problems. 1. Easily distracted – like with children, adults with ADHD can find it extremely difficult to concentrate on things they find boring or have little interest in. 3. Inability to organise – many people with ADHD find themselves starting a task and never finishing it, constantly losing things that are important such as keys or mobile phones and being late for meetings or appointments. 4. Difficultly sitting still – those with ADHD tend to fidget or find it difficult to sit still whilst waiting. 5. Difficultly controlling emotions – many people are easily irritated, impatient and may lose their temper more easily than those who aren’t suffering with ADHD. 6. Inability to switch off – often adults with ADHD are unable to turn off their thoughts and find stress particularly hard to handle. 7. Acting on a whim – those who struggle with the symptoms of ADHD can find that they often act on impulse with little thought for the consequences, getting them into trouble. Most people who suffer with ADHD develop the condition during childhood however, as children, – because so many children struggle with concentration and have a tendency to climb the walls – the condition is often not diagnosed until the child continues to struggle with the symptoms into adulthood. CBT was developed to provide a short-term therapy, focused on fixing a specific problem or issue. The therapy lasts 16 weeks with those participating being required to complete homework between weekly sessions. Speak to a therapist to discuss stress reduction and behavioural training if you don’t feel that CBT is the right form of therapy for you. If you’re suffering with ADHD it is never too late to seek help with the condition or learn to manage your symptoms and private therapy is a great way to seek immediate help without long waiting lists. My Online Therapy offer the UK’s first interactive therapy platform that can be accessed from any device, anywhere. This unique app offers you a professional service that is both discreet and easy to access from wherever is comfortable for you – offering you the ability to experience the benefits of therapy from your own home or office without disrupting you schedule or the need for a long commute. Learn more about our platform and how therapy could work for you on our website.